Hey, gals! Just a quick note: make sure to pop over to my darlin' Shrinky Inky's to participate in her very first giveaway! It's easy, just be a follower of her adorable blog and tell her all about your most romantic moment ever! 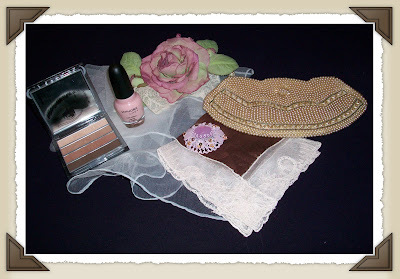 She put together this romantic package full of vintage goodies just in time for Valentines Day. Hurry, hurry, the giveaway ends on Wednesday the 3rd!